There are many reasons to prefer shopping at one store over another, but anyone who prefers for their handsets to come in blue would be advised to turn their eyes towards Best Buy. 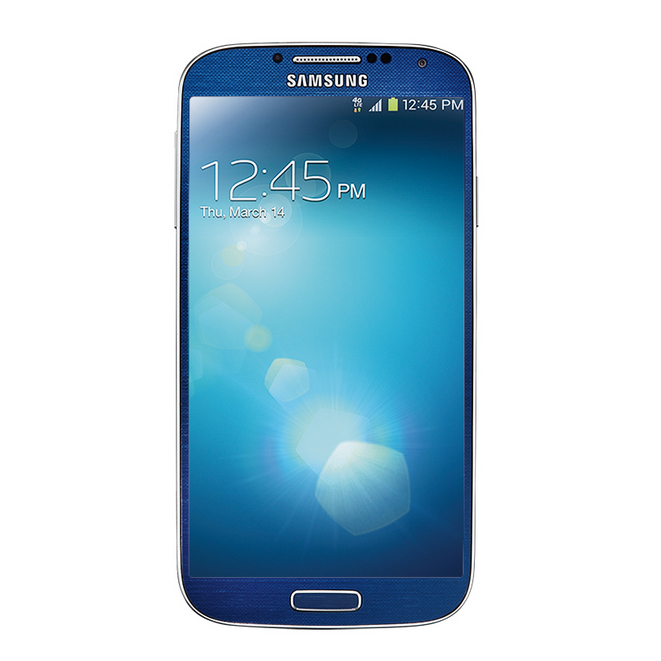 The big box retailer is now offering the Galaxy S4 in glossy, plastic blue - or as they would call it, Blue Arctic. The handset will become available next Thursday, November 14th, but pre-orders are launching tomorrow for Elite and Elite Plus members, and November 10th for everyone else. This exclusive Galaxy S4 follows the Metallic Blue HTC One Best Buy debuted in September, and just as with that offer, captivated customers can trade-in their current smartphone for a up to $200 in in-store credit. While Best Buy hasn't shared how much they're selling the phone for, that much money is sure to cover it. Buyers can activate their new Galaxy S4 at Best Buy on AT&T, Sprint, and Verizon. The Samsung Galaxy S 4 will be available in Blue exclusively at Best Buy starting Thursday, Nov. 14. The Blue Arctic Galaxy S 4 will be available on AT&T, Sprint and Verizon Wireless at the Samsung Experience Shops at the more than 1,400 Best Buy and Best Buy Mobile stores as well as on BestBuy.com. Pre-orders will be available starting Nov. 8 for MyBestBuy Elite and Elite Plus members and for all customers on Nov. 10 in stores and online. The Galaxy S 4 provides a suite of industry-leading innovations that change how consumers interact with a smartphone. It is the first device to enable consumers to control the device with touch-less features including scrolling or turning a page, viewing documents within a file folder or a link on a web page. It enhances memorable moments with innovative camera features that captures progressive action and removes unwanted people from the photo. Best Buy offers consumers the choice of any carrier, any phone and any plan with lots of unbiased advice at all of the Best Buy and Best Buy Mobile stores. Best Buy and Best Buy Mobile stores feature an array of services aimed at improving customers’ experiences including Upgrade Checker to determine eligibility for a new phone; free Walk Out Working service where contacts and data are transferred and e-mail accounts are set up before leaving the store; in-store Trade-In options where customers can get up to a $200 Best Buy gift card instantly for their used mobile phone; Geek Squad Protection, which offers no-hassle repair to protect devices from everyday wear and tear, accidental damage and more; as well as a full array of accessories for customers to protect, personalize and make the most out of their new Samsung Galaxy S 4.